Much of the internet is text based. Textual based computers gave rise to a textually based medium, and this fact has shaped the symbols we use and how we represent ourselves to one another. Online video games have hosts of memes, or shortcuts to express all kinds of meaning. Often time these abbreviations or symbols can be confusing to those on the outside, functioning as a bit of confirmation between two of a mutually shared culture. EVE Online, is not exempt from this, quite the opposite. Largely due to the fact that EVE was developed in the proto-MMO years before World of Warcraft, it is quite a different beast. Thanks to that, the language that we use is often vastly different than other games, with things like ‘tank’, ‘tackle’ being unknown, if not confusing. However, while abbreviations and slang are important, they are far less interesting to me as the symbols we use to convey emotion. With the proliferation of smartphones spreading within EVE’s lifetime, we have seen a surging cultural increase in the use of symbols (emojis) to convey meaning. Even in this, EVE comes from a simpler time, and relies on text based emojis such as 🙂 😀 🙁 :P. Although, perhaps thanks to the isolation of EVE culture from the rest of gaming spheres, EVE players have also adopted their own symbols, rarely used outside of their own groups: o/ and o7. For those who may not know the symbol o/ is meant to represent a person waving and o7 represented a salute. These simple, friendly gestures were born from a need in EVE to communicate, and be personable. There are no threatening symbols unique to the EVE player lexicon, no gesture for “I am coming to get you”, because that much is assumed. These basic greetings almost harken back to a simpler time, back to when the gestures they symbolized were created. In ye old days when you met a stranger on the road, you were naturally wary of them, twice so if they seemed military, or were notably armed. The wave and salute were borne from this angst, as a means of displaying you have no harm meant (you take your hand away from your weapon to do both gestures). Caution meant harm was assumed, and thus required a gesture to relieve it. In much the same way, an encounter in EVE with a stranger is a tense one at best, and if you do want to talk, you open a chat with them and… o/ wave. So, a combination of EVE’s unique gameplay, and unique culture, helped shape the symbols we hold as our shared heritage, but that does beg the question: why two symbols? Both waves and salutes have roughly similar meaning: a positive, if not friendly greeting, an interest in not being hostile. Waves are casual, where salutes are more formal. 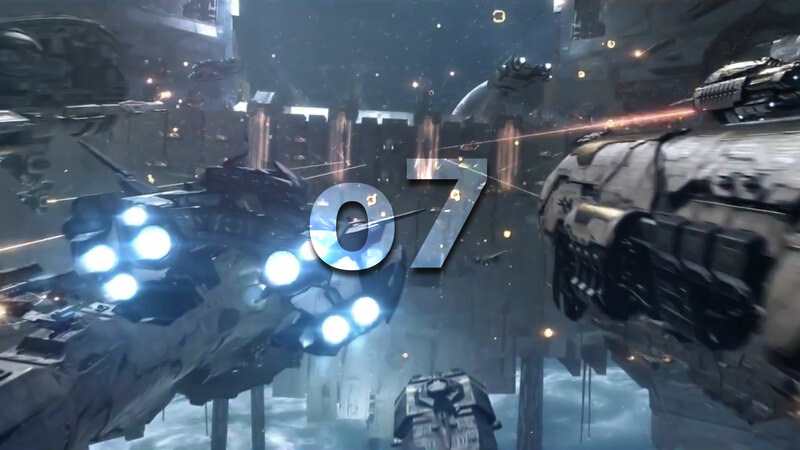 Additionally, salutes show a bit of the military nature of most larger EVE institutions, and permutations such as BRAVE’s infamous 7o play with the theme to convey their own culture. All that to say that I think that the o7 has truly become the symbol of who we are as a people in EVE. The creation of the o7 show as the official EVE community show only formalized that fact. I think the secret comes from what the salute really means. Salutes show both pride, and respect at the same time. A well formed salute shows discipline, class, and strength. While at the same time presenting that on display for the recipient to judge, and reciprocate. It is one of the core things that holds militaries together. It begins and ends all formal dealings with a sign that you do not come to hurt them, but respect them. EVE Online has another quirk to it: a high level of retired and active military players. The full consequence gameplay of EVE combined with the real need for intel and logistics speaks to a lot of veterans, especially those who struggle in a post-military life. I am proud to be one of those members, and proud to be a member of the Best of Us community, who keeps our vets safe and ‘in the game’ in more ways than one. I am a sucker for symbols. I was the kid who stood at the national anthem unironically, with pride, every day. When my country was attacked, I suited up and fought back. I know pride, I know symbols. To me the simple o7 that we all use ties my past, my present, and my future. It show my respect for myself, and my fellow man in this (arguably stupid) internet spaceship game. In a way the o7 is the banner of our community.